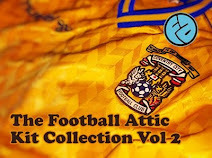 There's no other way to describe this shirt: it was quite simply a game-changer. 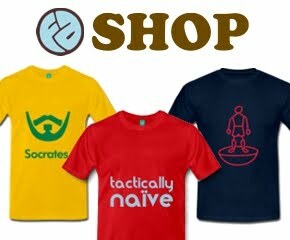 Before 2000, shirts worn by the Italian national team all generally followed the same rules. They had to be royal blue in colour, many had a proper 'flappy' collar and many had a dash of green, white and red as borrowed from Italy's national flag. After a couple of years of towing the line, however, Kappa decided to break free from the conventions of yore. 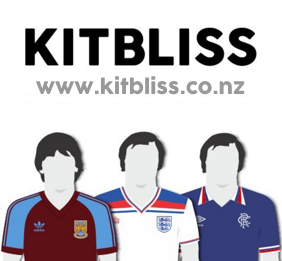 Their first idea was to change the tone of blue - a potentially controversial move, but one based on precedent as the Italy shirts of the 1950's had a similar hue. If you go back to the 1930's, you'll see that the shade of blue is even lighter, but I digress. Though a little jarring when first seen 15 years ago, it undoubtedly has a softer quality than the deep, rich blue we've come to associate with the Italian team. 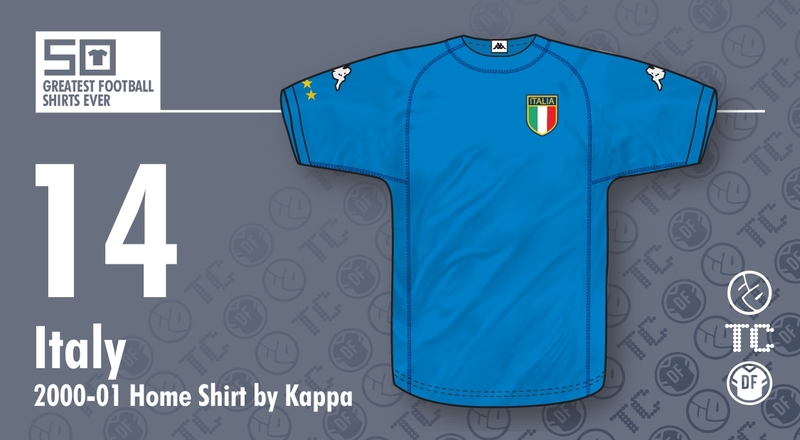 Next, Kappa did away with the collar, opting instead for a simple round neckline in the same colour as the rest of the shirt. After that, they moved their own logo to the sleeves of the shirt to leave the body decorated only by the traditional 'shield' badge of the Italian Football Federation. The final change, however, was a master-stroke. To compensate for an apparent lack of detail, Kappa used decorative stitch-work in a darker shade of blue to create a feature in its own right. Providing a border around the neckline, under the arms and down the sides of the shirt, this was a genius move that added to the overall look without spoiling the simplicity that had already been implemented elsewhere. If anything, the addition of a white squad number in the middle of the chest (as seen during Euro 2000) made the shirt even more complete, but it was by no means necessary. Even the slightly slimmer fit provided an extra distinction that separated it from most other shirts seen around the same time. 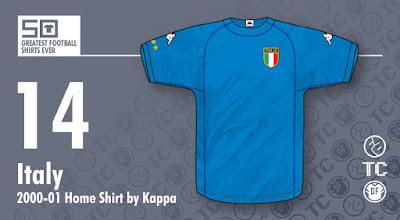 All in all, this was a glorious symphony of subtlety and style that did much to boost not only the Italian national team but also Kappa themselves. Proving that less can most certainly be more, Italy's greatest football stars have rarely looked better on the international stage.